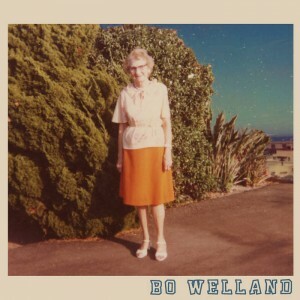 March 13th marked the release of Montreal/Kingston/Toronto band Bo Welland’s self-titled debut. Up to this point, the band has been touring around Ontario and Quebec, playing loud shows for enthusiastic, rowdy audiences. In doing so, they’ve definitely accumulated a loyal fanbase within local student populations. This five song EP is a slacker rock romp that definitely showcases what’s to love about the group. The album has some strong similarities to The Fratellis and the Kooks, bands we all listened to many moons ago, with the same dance-worthy high energy post-punk vibes. Two songs specifically, “Honesty in Ecstasy” and “You’ve Got it Goin’ On,” follow in this tradition, right down to the party-boy lyrics. For me, the standout song on the album is “Wind in Greece.” Right off the bat, the guitar lays down a clean riff that solidly anchors the song. Another nice touch on this track is the addition of piano, filling out the lower end of the sound. The composition on “Wind in Greece” is amongst the strongest on the EP, and the driving drum beat that starts off the song kept me bobbing my head ‘til the end. “Rampage” does a good job of capturing the rip-roaring spirit of the band’s live performances. For a debut release, it definitely stays very true to the band’s sound and lays the foundation for bigger and better things to come. When asked what’s next for the band, Spears says the plan is to release another set of recordings and keep refining their high-energy live show. The fact that band members live in different cities means that it takes longer to work on new material, but given the strength of their debut recordings, it seems like a very feasible plan. For those living in the Toronto/Montreal/Kingston area, these upcoming gigs will be something you won’t want to miss out on. This entry was posted in Reviews and tagged bo welland, Nora Duffy on March 17, 2017 by CKUT Music Coordinator.